You know your friend is a keeper when they gift you a box of oysters. Beautiful, plump, briny oysters genuinely make my heart sing. Half of them went straight into our tummies with freshly squeezed lemon juice, a dash of tabasco and some cracked black pepper. Perfection. The others I decided to jazz up a little differently. 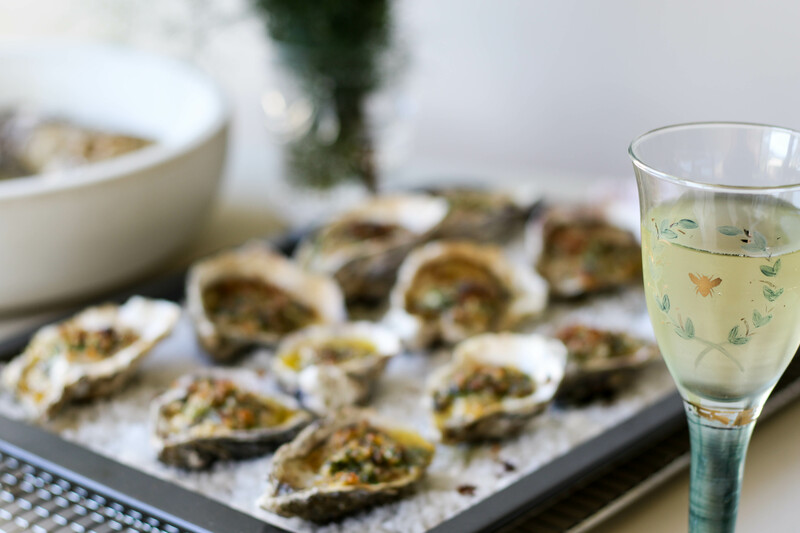 Grilled oysters are a delicious and different way of serving the not so humble oyster. I also love them deep fried in a very light and crispy batter. So technically speaking these oysters have been ‘broiled’. Not entirely sure why but I have just never bonded with the word. They’ve been cooked directly on one side under extreme heat. So about a few centimetres from your oven element on the highest heat and just the top grill setting on. A lovely textural element is the crunchy golden breadcrumb crust that forms on top. 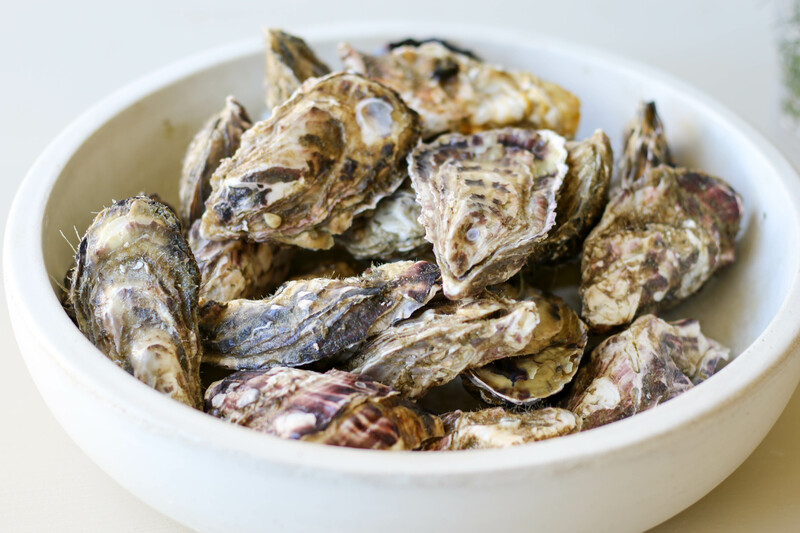 You can also play around with your preferred flavours and spices, just nothing too bold or in too great a quantity that you lose the oyster’s delicate flavour. Fill a baking tray with course rock salt. 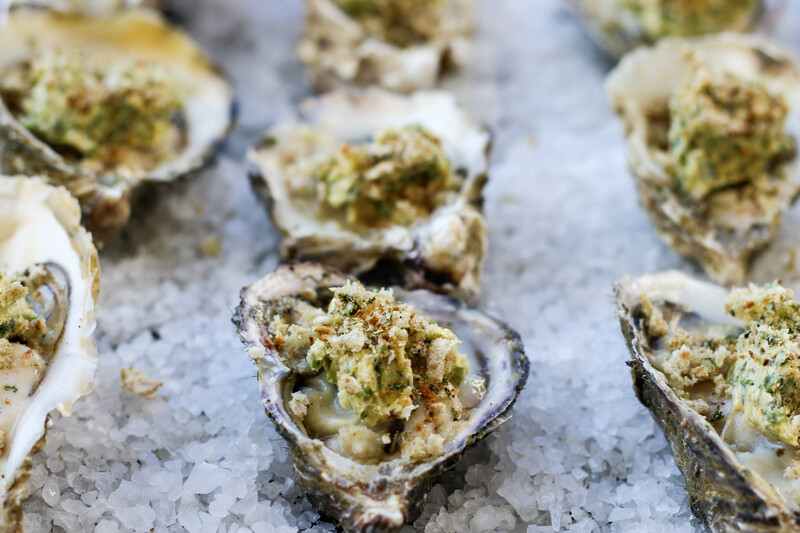 This will help you keep your oysters up right once shucked and prevent you losing their delicious juices. 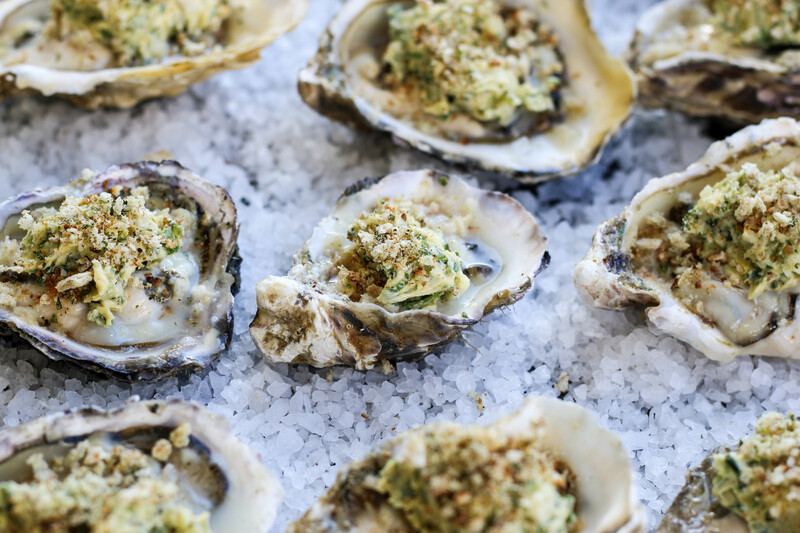 Shuck oysters. Start by holding a very thick dish cloth/ towel in your hand folded over several times. 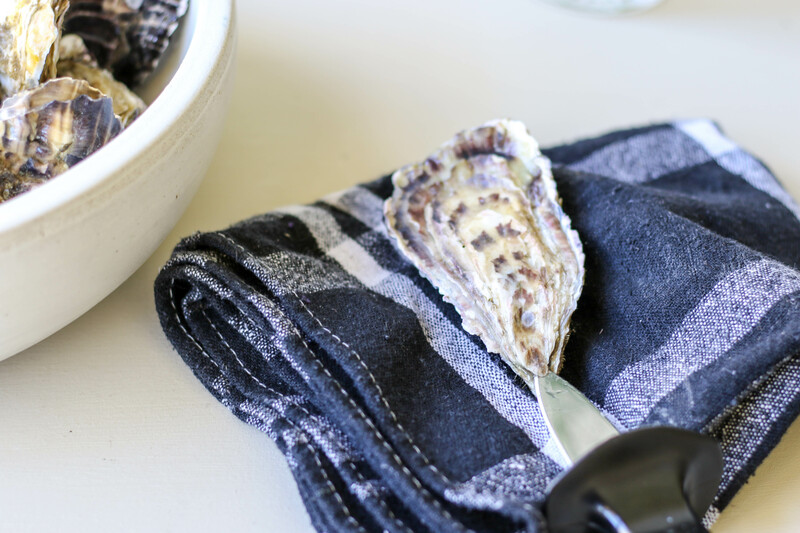 Place oyster into the cloth with the pointy tip facing towards you. Keep oyster level. Insert oyster knife into the little gap between the top and bottom shell in the front. Once you have wedged it in well begin working the knife from side to side putting pressure on the shells and you attempt to lever them open. 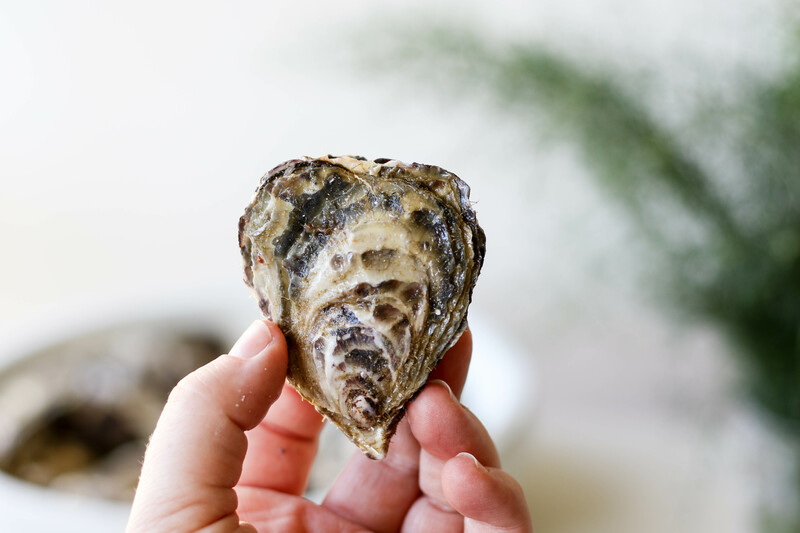 Once it pops open and your knife slips inside, slide it along the top shell to cut and release the oyster which is attached to both the top and bottom shells. Discard the top shell. Wiggle the oyster knife under the oyster and be sure to loosen it from the bottom shell making it easier to eat. 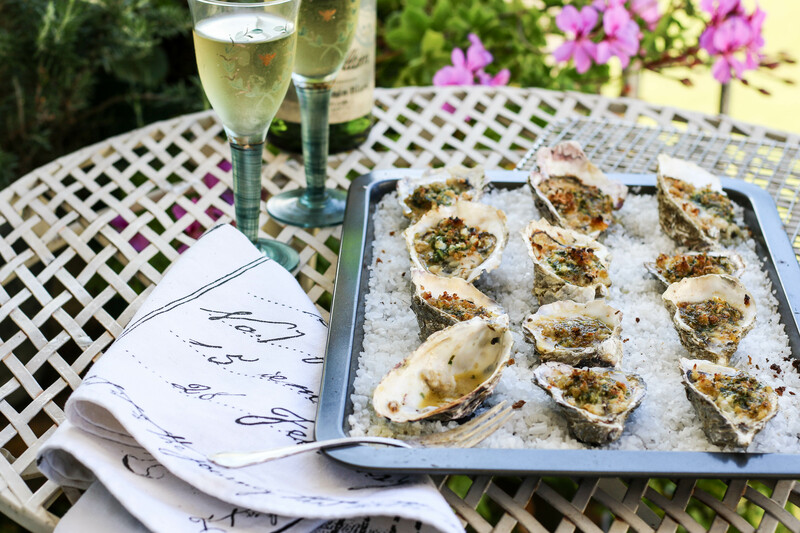 Place all oysters onto the bed of rock salt. How cute! This one looked like a little heart… Awww. 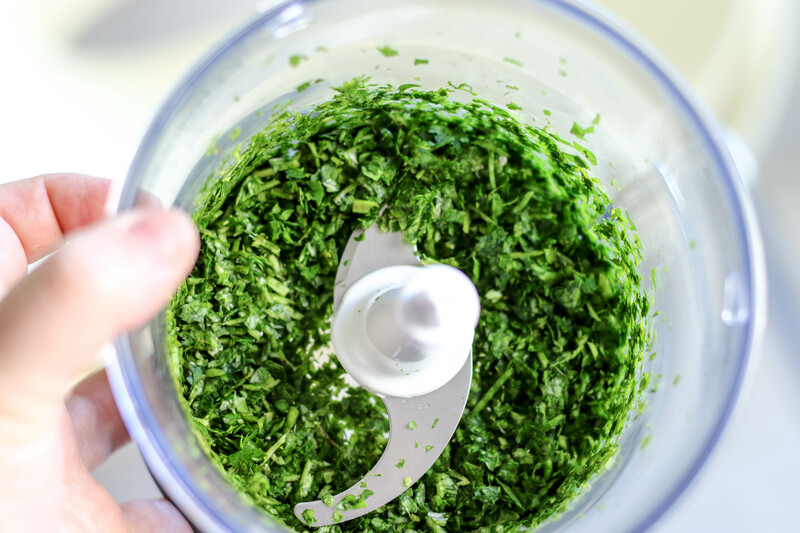 Finely chop the parsley. I just popped mine in a food processor. 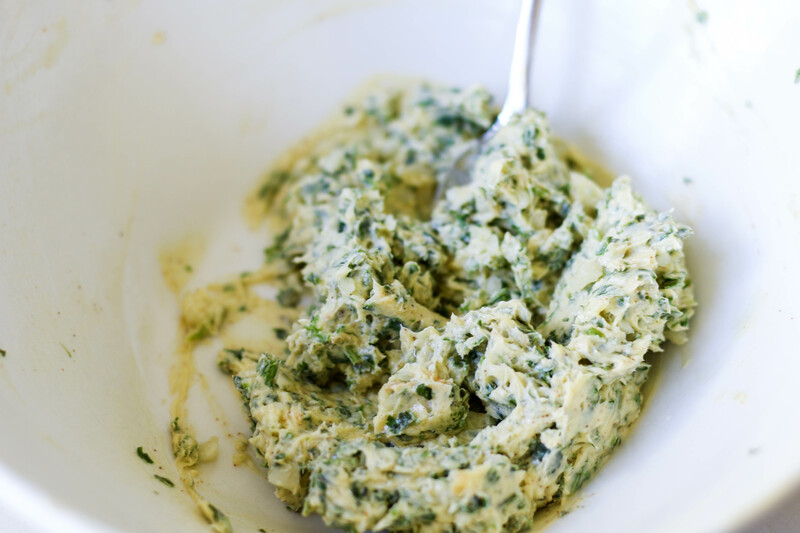 Place softened butter into a bowl along with the parsley, garlic, lemon juice, cayenne pepper and black pepper. Mix well. I add quite a bit of cayenne pepper for a kick but you can always add a dash of tabasco on at the end. Toast your slice of bread. Ciabatta or Baguette would work perfectly well. Once toasted, tear into little pieces and blitz in a food processor until you have breadcrumbs. Pre-heat oven on grill setting at the highest temperature. 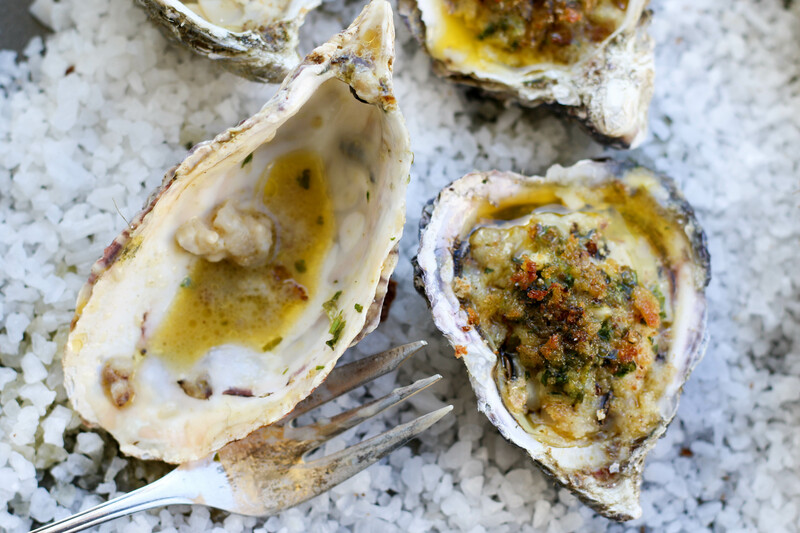 Spoon a teaspoon of butter mixture onto each oyster and then top with a sprinkle of the breadcrumbs. 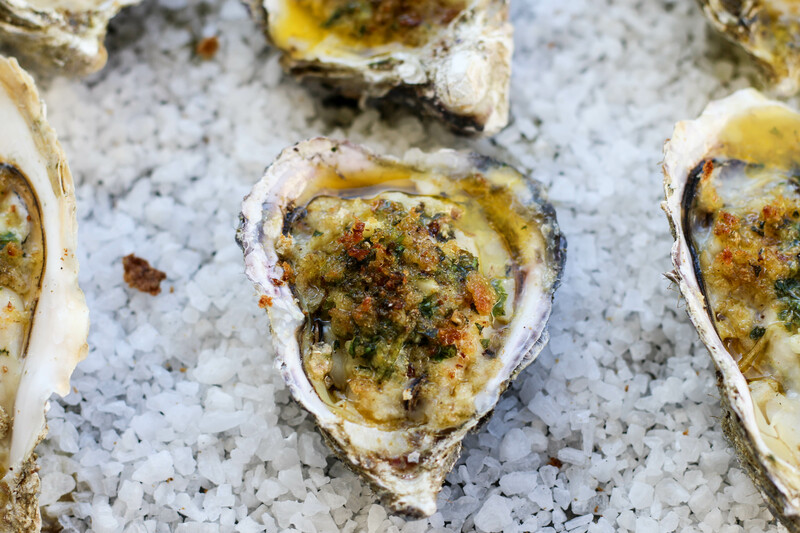 Place in the oven under the grill for 5 minutes until the crumb is golden brown and the oysters are swimming in warm flavourful butter. Take a minute to breathe in the glorious smell of seafood, garlic butter, fresh herbs and happiness. 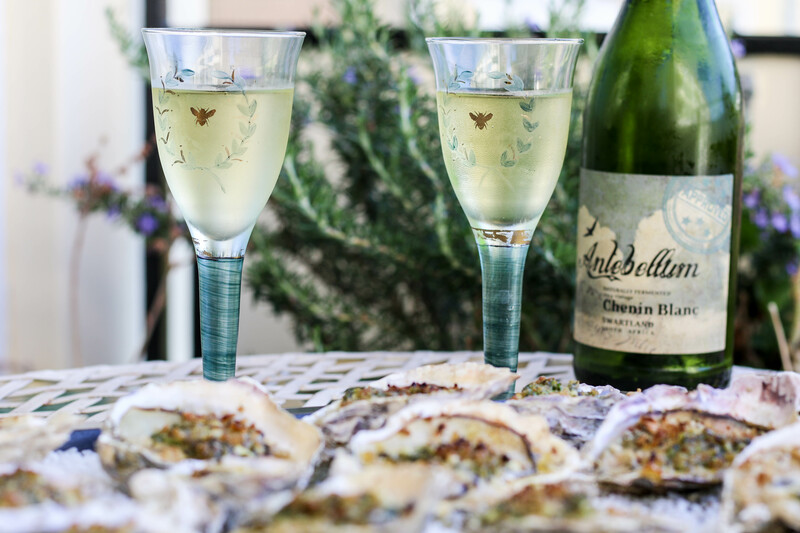 Serve with plenty of wine and enjoy them on your balcony like a boss while your neighbour stares at you quizzically while hanging his washing.